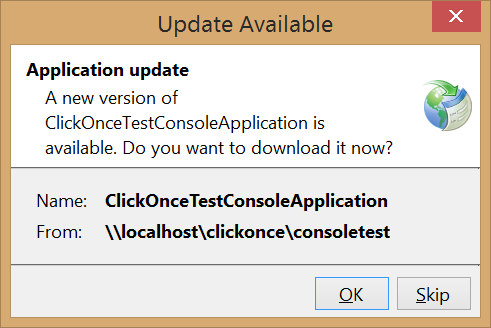 ClickOnce functionality allows you to create an application that checks for updates. 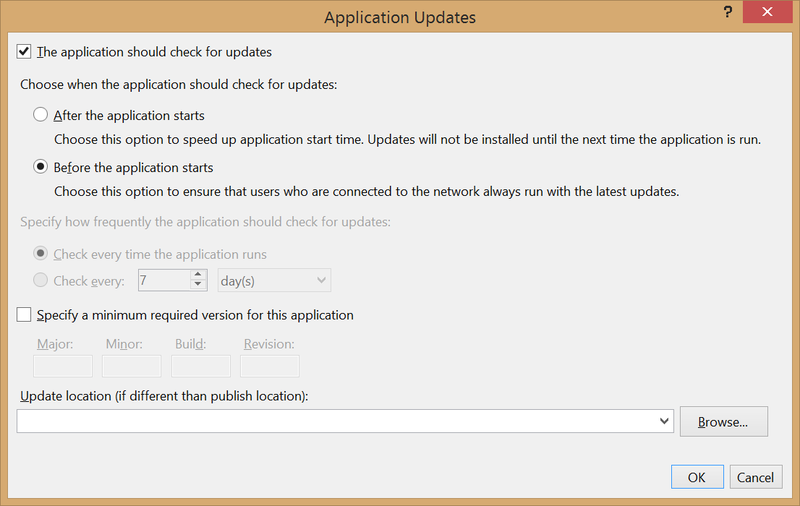 It can do this before it starts (you’ll always run with the latest version, even if you will see the update-check when it starts) or after it starts (better for large updates). When you’re publishing, you can also specify the minimum acceptable version that is to be running, which will automatically do the update when in violation. It obviously follows that you can also specify whether the application is allowed to be run when offline (read: when it can’t check for updates). Though most aspects of Microsoft development are unnecessarily complicated this is ridiculously easy. TFS 2015 embeds previous vNext functionality to provide you workflow-driven, scriptable builds. This is based on establishing discrete tasks that can be reused between your build definitions and release definitions as relevant. You can extend the basic set of tasks, which, though sufficient for very simple builds and releases, might quickly become insufficient. New tasks are called “extension tasks”. Discussing how to create one is out of scope for this post so we’re assuming that you already have a path that describes a task. At the very least, there will be a task.json file in it. Added support for “Basic Authentication” to your on-premise TFS’ IIS server. Enable Basic Authentication on that IIS server. Login to your TFS using the tfx tool. This is a cross-platform project that requires NodeJS to be installed locally. The TFS-CLI project is hosted here: https://github.com/Microsoft/tfs-cli. Go to “Programs and Features” -> “Turn Windows features on or off”. Navigate down through the tree of features: “Internet Information Services” -> “World Wide Web Services” -> “Security”. Enable “Basic Authentication” and click “OK”. Make sure to close and re-open IIS Manager afterward. 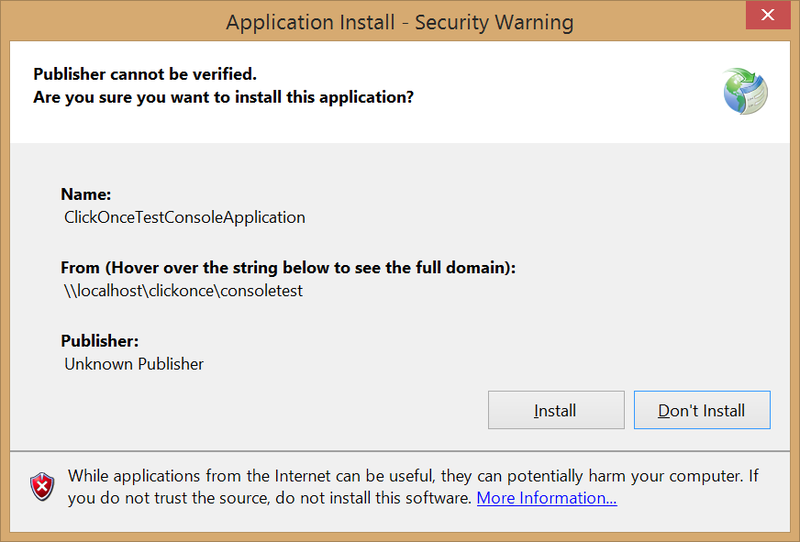 Under the application, click “Authentication”, right-click on “Basic Authentication”, and click “Enable”. Make sure you enable “Basic Authentication” under the application, not the site. Setting it on the site will be ineffectual.